Arthurian Edition of FAE Cover Reveal! The cover was photographed at the magical St Nectan’s Glen in Tintagel, Cornwall by Lee Searle Photography. Our ‘Guinevere’, is Olivia Harriet, wearing the ‘Fae of the Falls‘ bespoke gown – by Moonmaiden Gothic Clothing (Thank you Sarah and Michael). The photo-shoot was produced by FAE magazine founder, Karen Kay. Jake Potter of RotorScope filmed our behind-the-scenes footage, and additional footage from Michael Tingle and general and very helpful assistance from Meg Lamb. We’d like to extend an extra special thanks to Sarah Harper and the team at St Nectan’s Glen for their warm welcome and support with our photo-shoot. Plus the lovely lady in the shiny new St Nectan’s Cafe who made us all beautiful vegan meals! 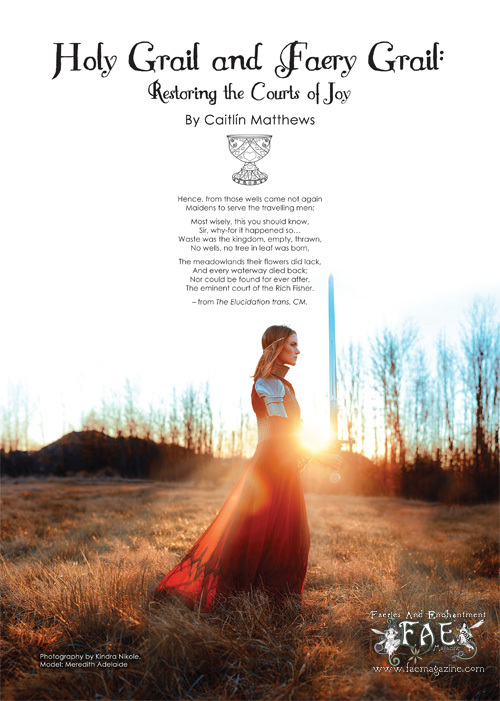 Featuring exclusive contributions from Caitlin Matthews with ‘The Holy Grail and the Faery Grail‘, where we meet the faery well maidens during our quest for the Grail. Photography by Kindra Nikole. We swim deeply into the waters where the Lady of the Lake resides, and look at the powerful Guinevere, Morgan Le Fay as we ‘Reclaim the Ladies of Camelot’ with Lucy Cavendish. Sit with us at the round table, and join us on the trail for the grail, in this exciting Arthurian edition of FAE filled with the magic of Merlin and Morgana! 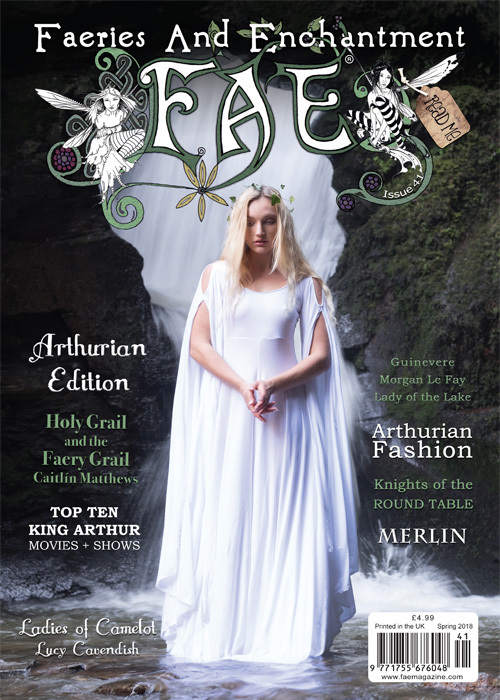 With Arthurian inspired fashion photographed in the infamous King Arthur’s Great Halls in Tintagel, plus our cover shoot at the magical St Nectan’s Glen, the magic inside this issue is truly tangible! 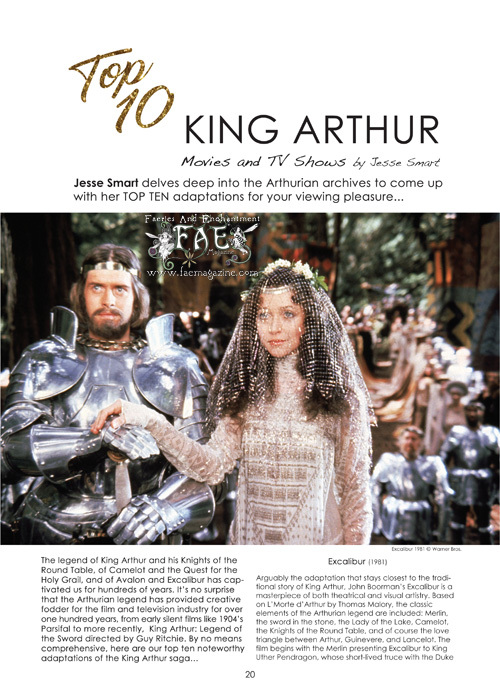 We have compiled our TOP TEN TV and Film Arthurian adaptations for your viewing pleasure. We venture to the Hidden Kingdoms: Escapism by DanniellaJaine. 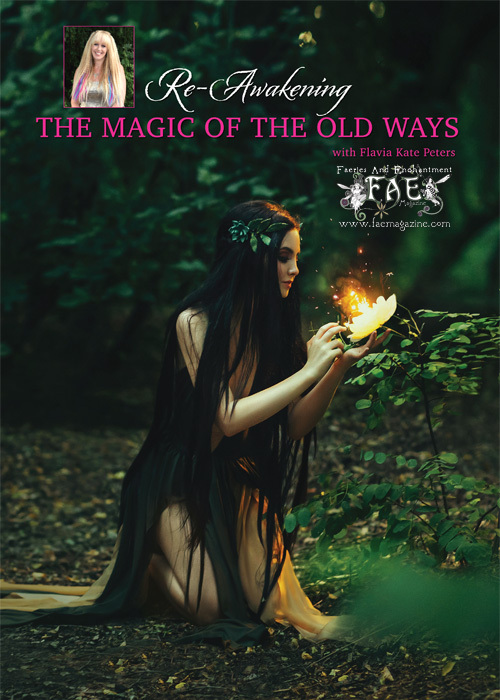 All of this and more, as well as our regular features from Flavia Kate Peters, as she Re-Awakens the Magic of the Old Ways in her guided meditation Our Yoga Fairy returns with some try-at-home postures, as does our delightful Gardening Angel Trixie Belle who says “Give peas a chance!”! Find us on our FAE Magazine Facebook Page! You can find FAE on Instagram too. 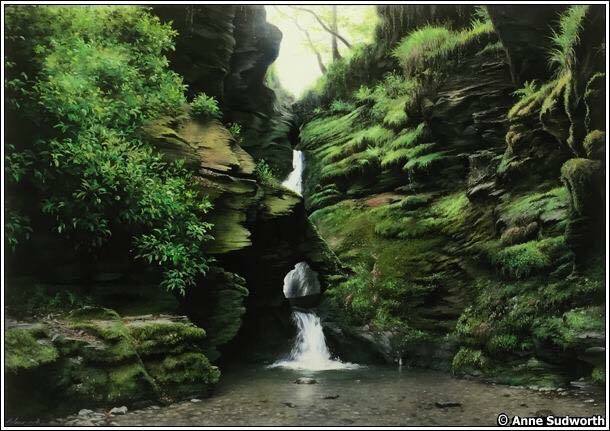 If you take out a Subscription to FAE you will also receive a FREE A5 ‘The Magic of St. Nectan’s Glen’ Greetings Card, by artist Anne Sudworth. 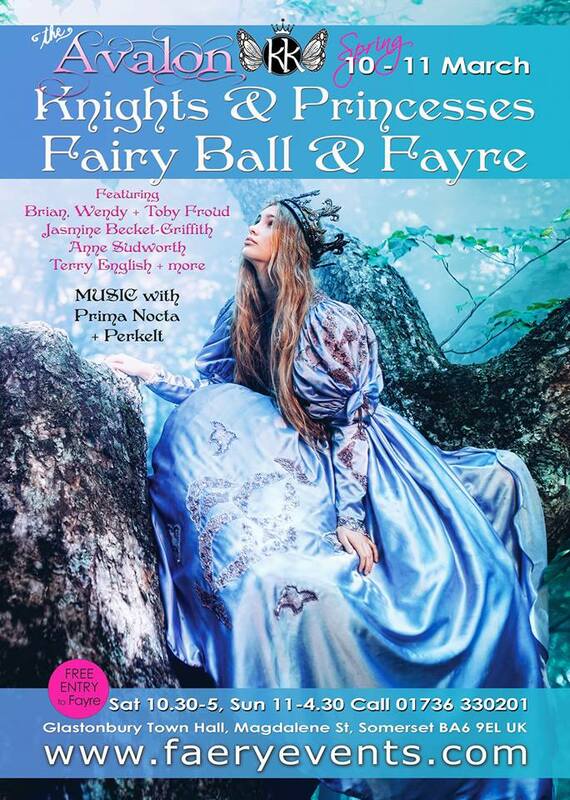 The new Arthurian edition of FAE magazine will be also available from the FAE stall at the Avalon Faery Fayre next weekend on 10th & 11th March at Glastonbury Town Hall, Somerset, UK – FREE Entry both days, with fairy artist Brian, Wendy & Toby Froud! 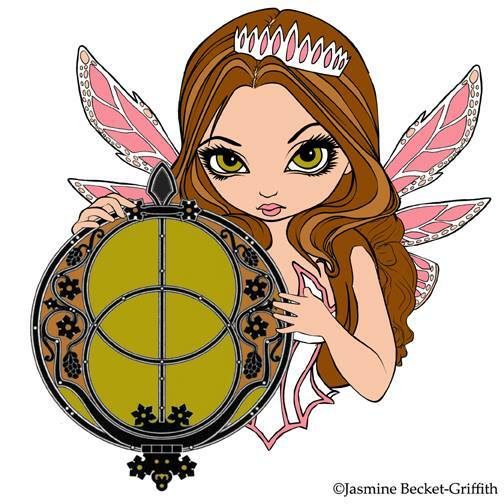 Jasmine Becket-Griffith, Anne Sudworth and more! There are also some special talks & workshops! 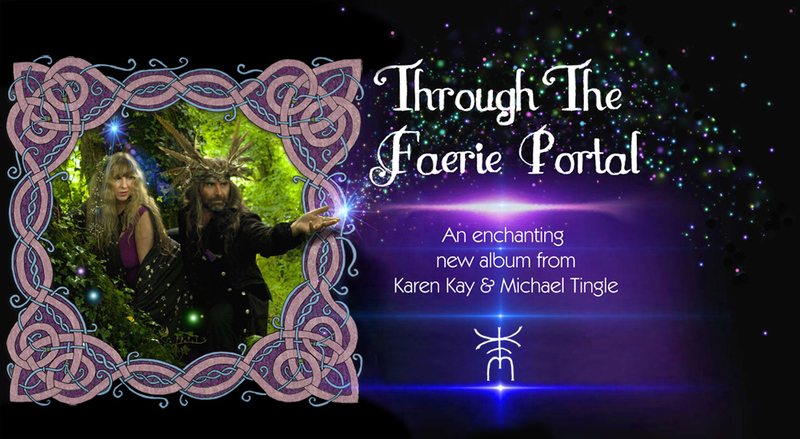 Seven years in the making, ‘Through the Faerie Portal’ is the latest offering from Karen Kay and Michael Tingle. A natural evolution from their ‘Enchanted’ album, this DOUBLE CD takes the listener on a magical journey through the faerie portal and directly into fairyland! A place where dreamers dream and magic is a natural occurrence. With inspiration from Karen’s relative, the fairy poet and author Walter De La Mare, and W.B. Yeats, you are certain to be enchanted for an hour in human time, or a hundred years in fairy time! Recorded & Mixed by Michael Tingle at the Moon & Sky Mobile Recording Studio, and Mastered by John Cornfield in Cornwall, UK. All music is performed by Michael Tingle and Karen Kay with musical contributions from Pavlina Bastlova (Recorder), Alyssa Lynch (Violin) and backing vocal on ‘Round The Root Now’ from Samayan Kay. The Cover photography is by Danniella Jaine, with Celtic border frame by Michael Tingle, and additional photo-editing by Karen Kay. Finally, last but by no means least!!!! !